How do epidemics affect France? After Ebola in Africa this past summer, a new mortal spreading virus appeared in South America : the Zika virus. A lot of epidemics also affected France in the past centuries, and especially one disease, the plague. In fact, this disease affected the whole south of Europe in multiple waves over the years, and we are going to see how France dealt with it. The first huge wave of plague happened during the Middle Ages. It was nicknamed “the Black Plague” because of the fact that it destroyed almost half of Europe’s population at the time (25 million people including 7 million in France). The population thought that this disease was a divine punishment, and were incapable of curing it. Another deadly epidemic of plague appears between 1629 and 1631, but this time an observation bureau is established, along with “Plague Doctors” who went from cities to cities to try and heal the sick people (see picture). More recently, some epidemics hit France, but with a much lesser impact than the plague ones. Minor diseases like flu are coming back every winter especially for the children and elders, who are the most vulnerable to these illnesses. To prevent this to happen, the government launches prevention campaigns every winter to incites the families to get flu shots, and to take the appropriate measures (washing hands often, no contact with a contaminated person…). These measures were reinforced during the recent epidemic of H1N1, a kind of influenza that hit in 2009 and made around 300 deaths in France. This crisis was the last big epidemic that occurred in France, for now. France, thanks to his geographical position, is protected from natural mosquitoes-borne and tropical diseases. However, like every country, France is not immune to the human-borne viruses. That’s why many controls take place in airports, train stations and harbors, in order to detect infected people. Before leaving France for a tropical country, people are encouraged to be vaccinated, in order to prevent them from contracting the disease and bringing it back to France… Campaigns were launched to democratize those vaccines, and nowadays the vaccines’ prices are rather low. The last epidemic France faced to was the H1N1 flu, in 2009-2010. It was a mondial epidemic, overcame by the international community thanks to medicines and vaccines. 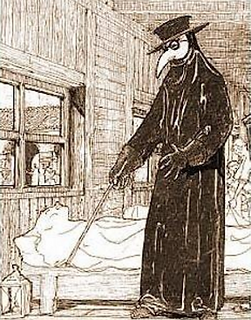 In the past, France dealt with the worst epidemic : the black Plague. All Europe was ravaged by the plague during the Middle Age, killing millions of people. At that time, the countries couldn’t treat the disease and had to undergo it. Then, the first vaccine was developed by a French scientist, Louis Pasteur, in 1885. It was a vaccine against the rabies, that led to a wave of many others vaccines contributing to the progress of the humanity. Nowadays, France has many high-technology research centers that are working on the cure to actual viruses, like the AIDS. With the Zika virus spreading throughout Brazil, French citizens fear a contamination of the disease within their own borders. Fifty three cases of Zika were already diagnosed on the French islands and several travelers returning from trips there have carried back the virus with them as well. Although no governmental policies have yet been implemented, French officials call for an “individual mobilization”, meaning that they encourage inhabitants to be more careful with regards to their respective hygiene. Over the past year, French support has been a valuable asset for countries fighting against Ebola. France was the first European country to identify the virus and to send researchers from the Institut Pasteur, one of its most prestigious research institutes. In addition to sending 160 million euros (177,5 million dollars) for immediate help, France also donated 174 million euros in order to promote the creation of more research labs and medical infrastructure in Guinea. In the meantime, the Fondation de Recherche Médicale (Medical Research Foundation) conducts research on cancer and diabetes, among other illnesses or health conditions. In terms of medical treatment, France is known for offering one of Europe’s most generous social security and health systems. In 2014, France spent 11.6% of its budget on social security while the latter had a 441 billion euros budget in 2013, funded by French citizens through taxes. 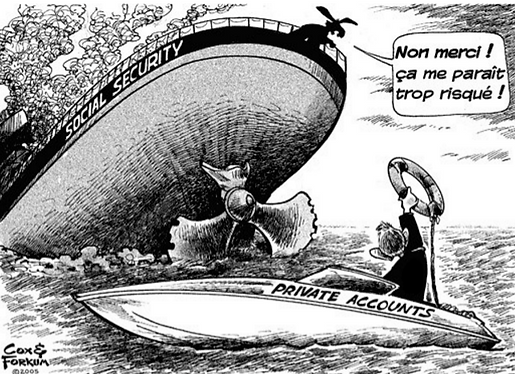 Even though no French citizen wishes to reduce its bountiful benefits, the French social security system is subject to some criticism for being too costly, therefore worsening the state’s debts. Nevertheless, a social security system presents many advantages and has proved itself extremely beneficial for the French population.